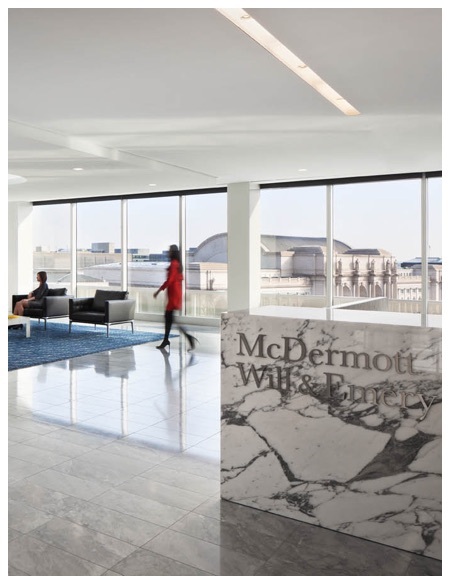 Brilliantly big and ingeniously small’ was the catch phrase coined for the vision McDermott Will & Emery (MWE) and the design team at Gensler had for their new space at 500 North Capitol Street in Washington, DC. 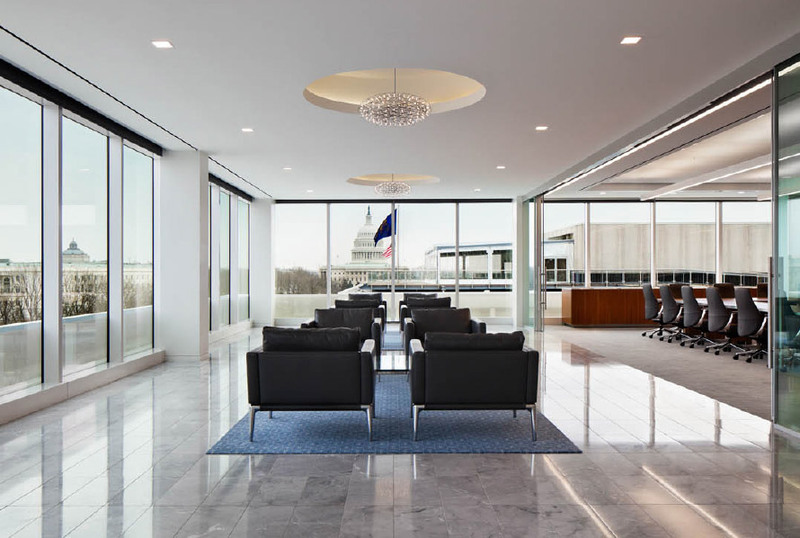 The team felt that the phrase embodied the close relationships this large global firm has with their clients who are served by a multitude of small practices that comprise the DC office and they wanted their space to reflect this unique perspective (DCmud Blogspot, 10/4/12). 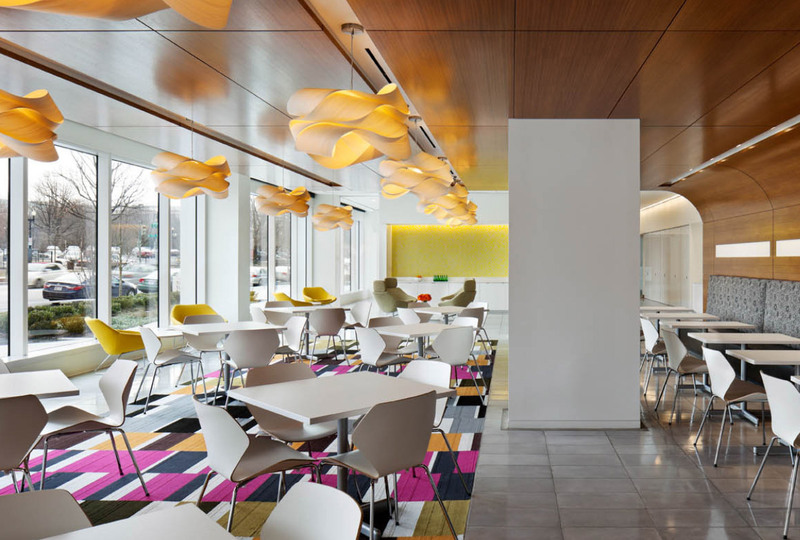 With that catch phrase in mind, MWE set out to create spaces that encouraged interaction and allowed employees from the different practices to get to know one another like one large copy area per floor rather than several small areas. 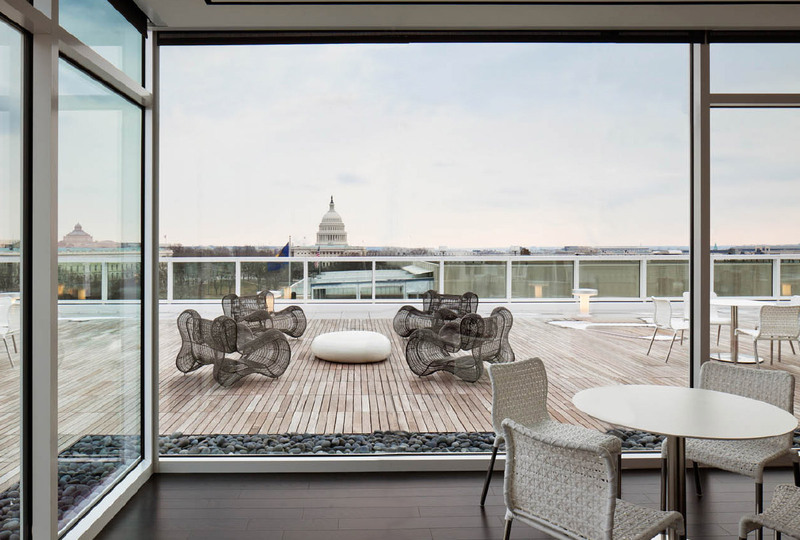 They also used a lot of glass in the design to create an open feeling and allow everyone access to daylight and views which is one of the many attributes of the LEED Gold Certified space. 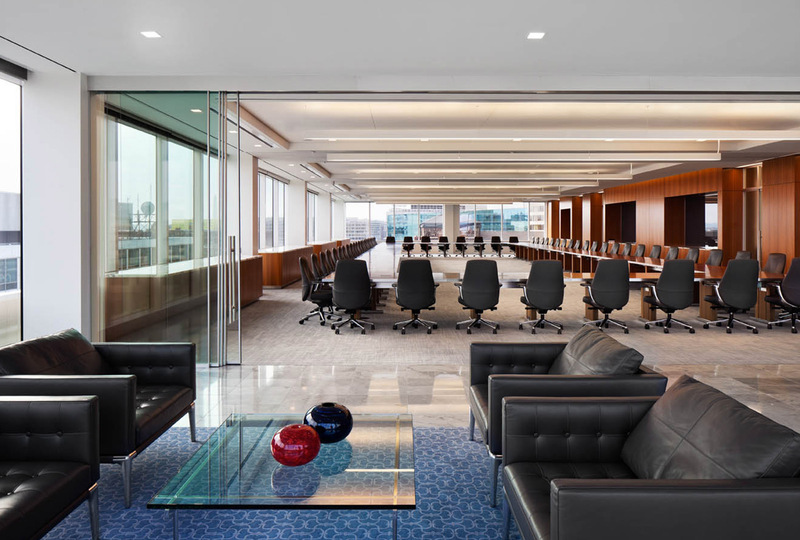 The partner offices not only took on a much more contemporary look and feel with glass walls and Tuohy casegoods, they provided an innovative approach to the office space that has proven very popular. 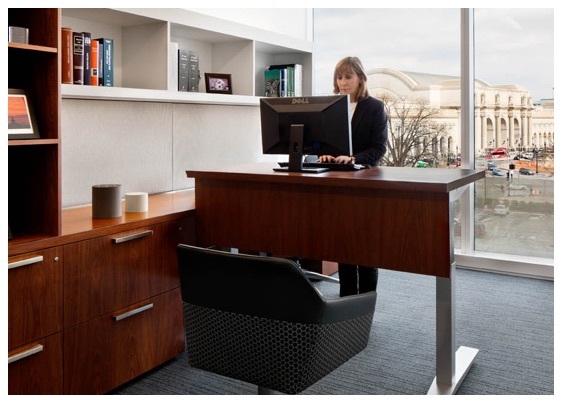 Adjustable height worksurfaces were an option for the offices in place of the traditional desk, giving notoriously hard working attorneys the ability to adjust the position of their desk throughout the workday with the touch of a button.